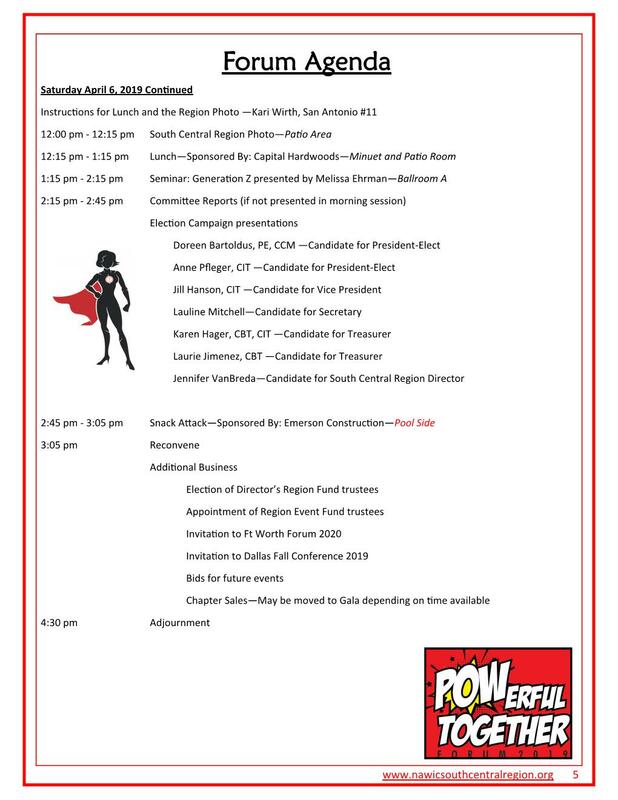 Mark your calendars and get ready to POWer UP with NAWIC SOUTH CENTRAL REGION! 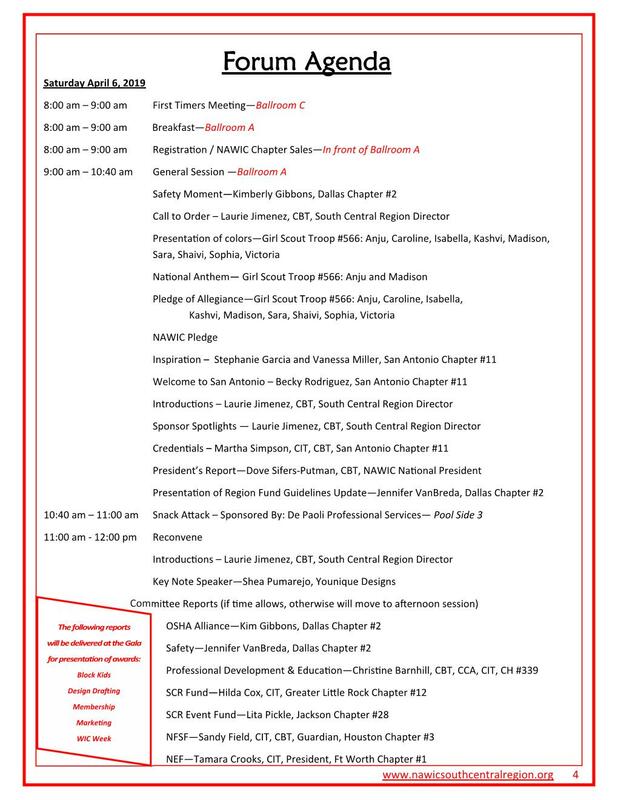 The San Antonio Chapter's superheroes are preparing a great event for the South Central Region. They are going to boost our NAWIC POWers through NEF Testing, CEU seminars, team building, ​hands on workshops, technology updates, and exciting activities. We will be POWerful TOGETHER at the 2019 Forum. On Line registration is CLOSED. 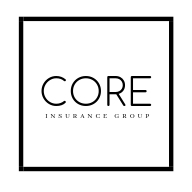 Please contact Kari Wirth at kari@mauzeconstruction.com to let her know you'll be attending and you can pay at the registration table when you arrive. Download your program book here. The file is large, please be patient with the download. 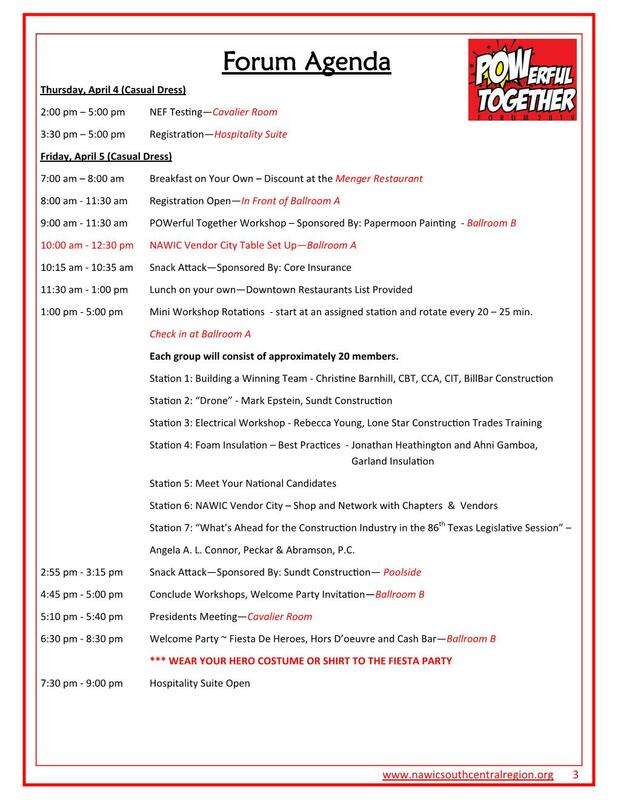 Hard copies of the agenda and registration tally sheet will be available at the registration table.